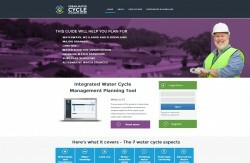 Are you a developer, consultant, council or water corporation looking to incorporate whole of water cycle management into new residential developments? Are you feeling overwhelmed by the myriad of decisions that need to be made? Not sure who to talk to and at what stages of your project? This session is primarily designed for council and water corporation who are looking for tools to assist with IWCM planning that could be adapted for their region. Developers and consultants are also welcome to attend, to preview the Tool that could be adapted for use outside the Barwon region and potentially be made available for their use in future. Participants are welcome to bring your own laptop (wireless enabled) to access and have a go using the Guide with the support of the project team.